Do Tax Cuts Hurt Growth? 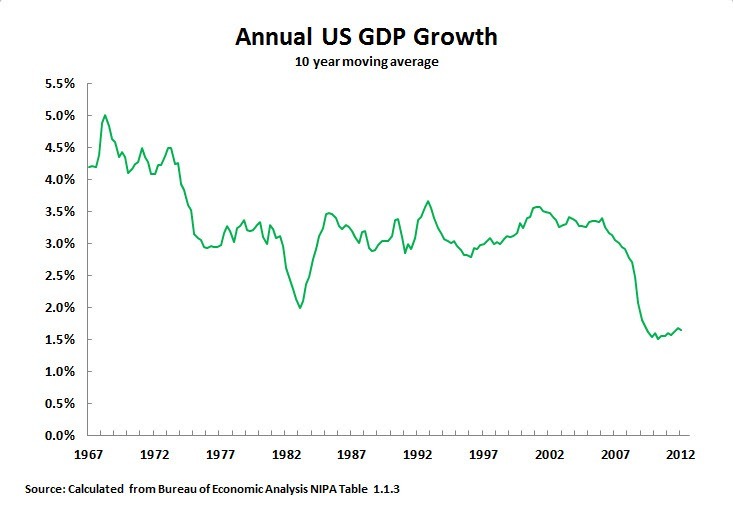 It’s been clear for a long time that lower tax rates don’t have much long term effect on economic growth. For example, can you determine which years have low or high tax rates from the following graph? But recent analysis by Ethan Kaplan of the University of Maryland actually shows that lower tax rates lead to lower economic growth! Here is Kaplan’s scatter-plot of real growth rates versus top marginal tax rates. The correlation is clearly positive – meaning higher tax rates correspond to higher growth and lower tax rates correspond to lower growth. How can this be true? After all, conventional wisdom is that tax cuts fuel growth. The main reason appears to be income inequality. 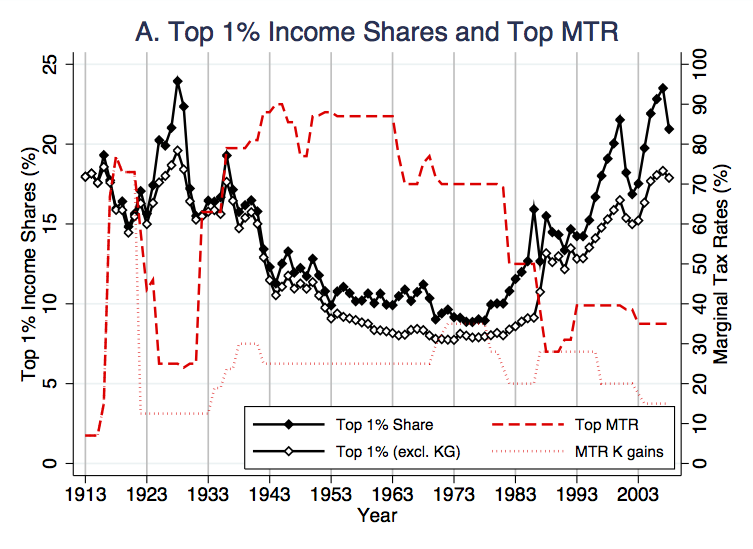 Work by Piketty, et al. demonstrates a very high correlation between a low top marginal tax rate and rising income inequality. So how does rising income inequality lead to lower growth? As I pointed out last week, the US economy is driven primarily by Middle Class consumption. Too much inequality leads to a weak Middle Class and a sluggish economy.